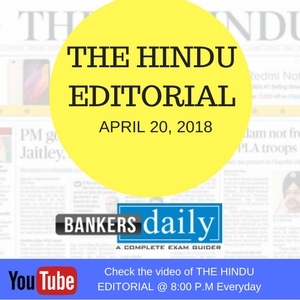 Aspirants can find the important editorial from the 19th April – THE HINDU in the video discussion which is provided below. There is little surprise in the Law Commission of India recommendation that the Board of Control for Cricket in India be brought under the purview of the Right to Information Act. Over the years, the popular expectation that India’s cash-rich and commercially successful apex cricket body will have to make itself more transparent and accountable has been rising. While the BCCI is a private body that needs no financial help from the government, it is being increasingly recognised that it performs significant public functions. Even though a five-judge Bench of the Supreme Court in 2005 held by a 3-2 majority that the BCCI could not be termed an instrumentality of the ‘State’ under Article 12 of the Constitution, subsequent developments have ensured that the public character of its functioning is widely recognised. 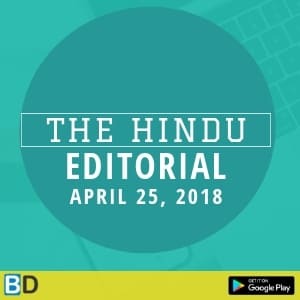 In recent years, especially against the backdrop of the betting scandal that hit the Indian Premier League tournament a few years ago, the view that the cricket board is functioning in an opaque manner and not entirely in the game’s interest has gained ground. The Supreme Court’s intervention led to the constitution of the Justice R.M. Lodha Committee, which recommended sweeping reforms in the board’s structure and the rules governing its administration. Many believe that implementing these reforms at both national and State levels would impart greater transparency in its functioning and lead to an overhaul of cricket administration in the country. The apex court also reaffirmed the public character of the BCCI’s functions. The Lodha Committee recommended that the board be treated as a public authority under the RTI Act, and the Supreme Court wanted the Law Commission to examine this suggestion. 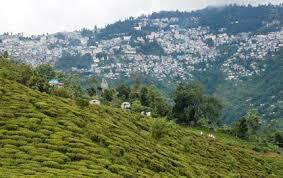 The Central Information Commission favoured the idea. The Union government has on different occasions maintained that the BCCI is a ‘national sports federation’ and, therefore, an entity that falls under the RTI Act’s ambit. However, the BCCI is not one of the national federations listed on the website of the Ministry of Youth Affairs and Sports. Summing up its reasoning, the Law Commission has taken into account “the monopolistic nature of the power exercised by BCCI, the de facto recognition afforded by the Government, the impact of the Board’s actions/decisions on the fundamental rights of the players, umpires and the citizenry in general” to argue that the BCCI’s functions are public in nature. The board gets no financial help directly, but the commission has argued that the tax and duty exemptions and land concessions it got would amount to indirect financing by the state. A relevant question may be whether its autonomy would suffer as a result of being brought under the RTI. It is unlikely: other national federations are under the RTI and there is no reason to believe it would be any different for the BCCI. In fact, as a complement to the structural revamp, it may redound to the game’s interest. 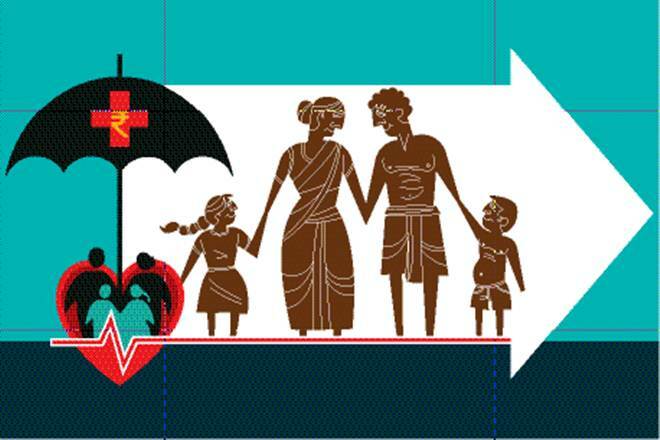 Neither the People’s Democratic Party nor the BJP wants to end their coalition over this issue; however, the two parties serve very different political constituencies, both demographically and geographically. What brought them together was not some shared political objectives, but the PDP’s interest in keeping the National Conference out, and the BJP’s in keeping the Congress out. The alliance was born of short-term electoral expediency rather than any long-term political strategy. After the death of Mufti Mohammed Sayeed in January 2016, the alliance came under new strains with Ms. Mufti attempting to adopt a more independent line, one that was in consonance with feedback from the cadre. But just as the two parties cannot fight the elections on the same electoral plank, they cannot afford to let go of their stakes in this government, for fear of conceding political space to their principal rivals. Closer to the next Assembly election in 2020, the alliance is likely to come under greater strain as the benefits of continuing in government will be outweighed by the risks of approaching an election together. Another similarly contentious issue closer to 2020 might not see the PDP and the BJP so eager to reach a compromise. Meaning: Not able to be seen through; not transparent. Meaning: Analyse and improve (a system). Meaning: Existing or holding a specified position in fact but not necessarily by legal right. Meaning: (In some sports) an official who watches a game or match closely to enforce the rules and arbitrate on matters arising from the play. Meaning: The citizens of a place regarded collectively. Meaning: An act of improving the form, structure, or appearance of something. Meaning: Contribute greatly to (a person’s credit or honour). Meaning: An extremely strong reaction of anger, shock, or indignation. Meaning: (Especially of a position or view) not able to be maintained or defended against attack or objection. Meaning: The fact of having committed a specified or implied offence or crime. Meaning: Withdraw or resign from an important position or office. Meaning: The state of being incongruous; incompatibility. Meaning: Relating to the structure of populations. Meaning: Based on or derived from the physical features of an area. Meaning: Force (a part of one’s body or oneself) to make an unusually great effort. Meaning: Surrender or yield (a possession, right, or privilege).